Binge. Jam. Play. Entertain bigger and louder with Robby2! Its extra-large 5.5” HD display augments your multimedia. Step up your speed with 4G LTE. Pump up the volume on the Dual front speakers for 3D stereo sound to go! Got a multimedia addiction? Your movies. Games. Photos. All amplified on its extra-large 5.5” HD screen. Set about your day outdoors! See fabulously clear visuals from any angle because of IPS technology. Big yet convenient! Manage your screen easily in one-handed mode. 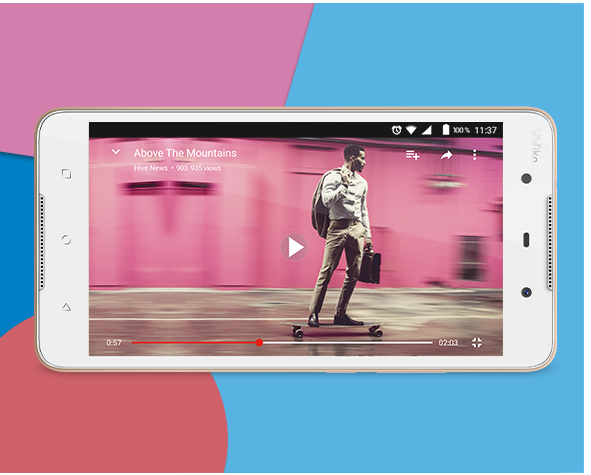 The speed you deserve to enjoy your multimedia fully with 4G LTE Category 4. Stream your favourite series smoothly. Quickly snap and share funny clips with friends. Or surf the net and download at top speed. 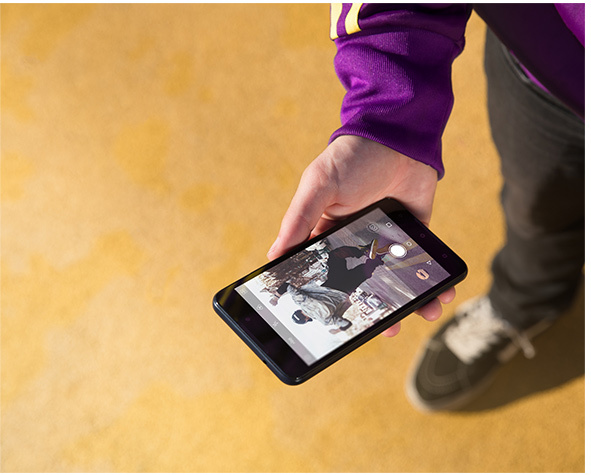 Count on responsiveness with a Qualcomm™ Quad-Core processor on board. Be it a film, video, or game, complete your entertainment experience with loud, immersive audio from the front facing Dual speakers. The audio amplifier delivers crisp 3D surround sound. Shoot detailed pics that capture bright colours and contrast on the 8MP rear camera due to its large f/2.0 aperture, HDR and Night modes. Selfie naturally in the dark with Soft light flash on the 5MP front shooter. Polish up with Live filters and Face beauty. Record in HD for great videos or increase speed with Time lapse. 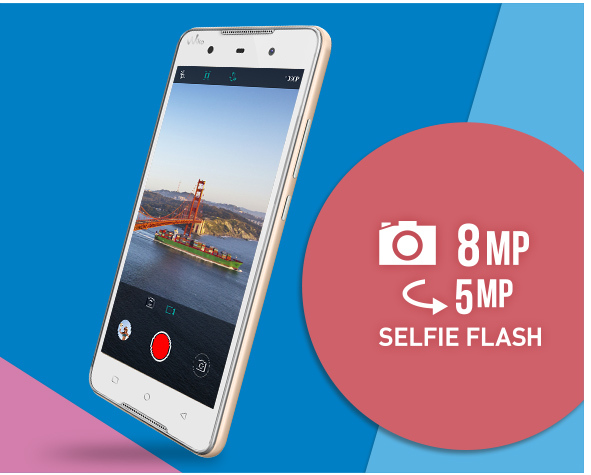 Save your captured moments easily with 16GB ROM, expandable up to 80GB with a MicroSD card. Save time as Robby2 functions like you! 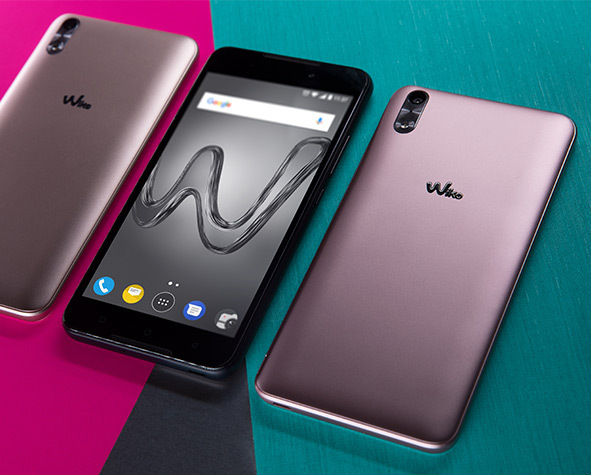 Enjoy the intuitive Wiko User Interface, including smart Assist, Music, Battery tips and widgets, and Smart screenshot. 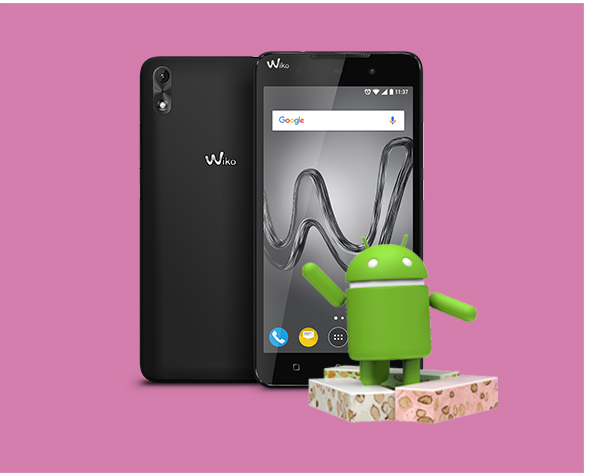 Benefit from the practicality of Android™ Nougat with Multi-window view and Battery optimisation. 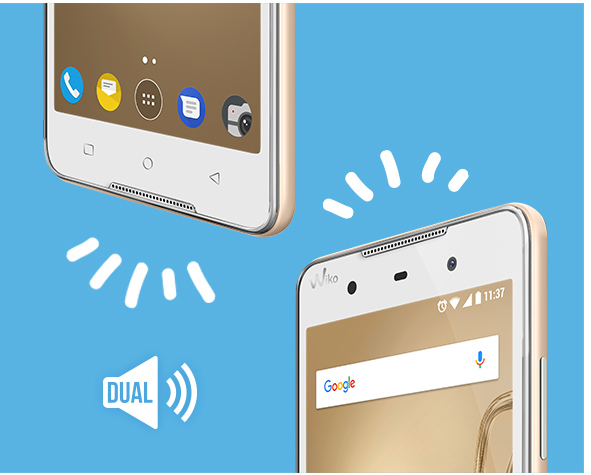 One step further, the Dual SIM gives you additional flexibility.